This morning, GL Pease' Union Square in the Peterson Kapp Royal XL90. Enjoying some Brighton in a Dagnar Anse. 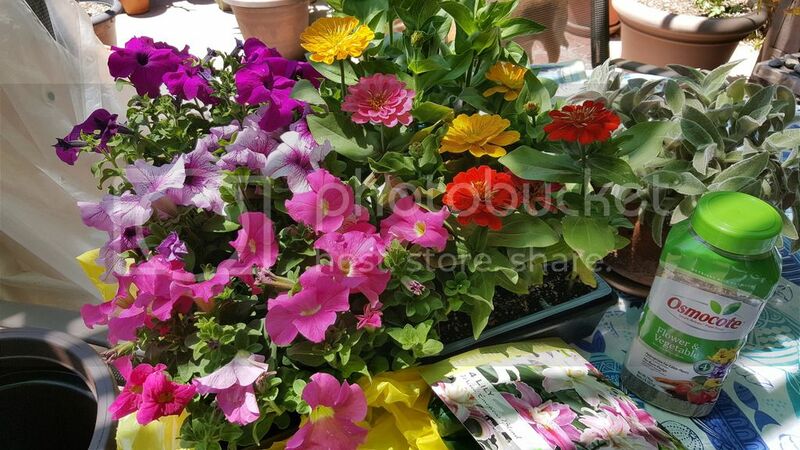 Well, its not cooling down, so the potting is going to have to wait until tomorrow morning (mama is up in Vancouver Island and won't be back until Monday evening), so I have some time. 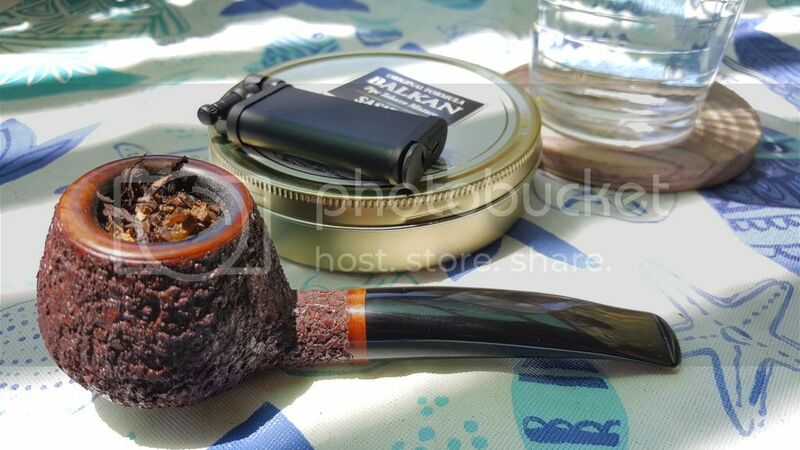 Marlin Flake (2012) in a Stanwell. I had forgotten how sweet this blend was. 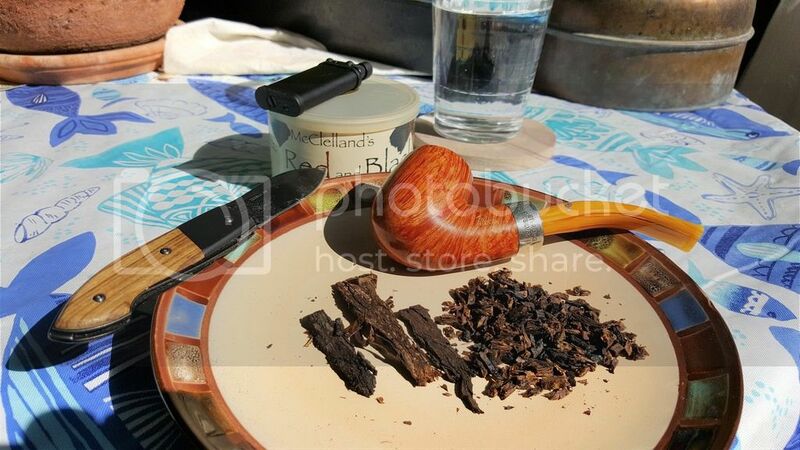 Danish Pipe Shop - MOB Dark Pearl in a Dagnar. Sitting outside in the Johannesburg heat. Not the weather for a brooding tobacco like this! 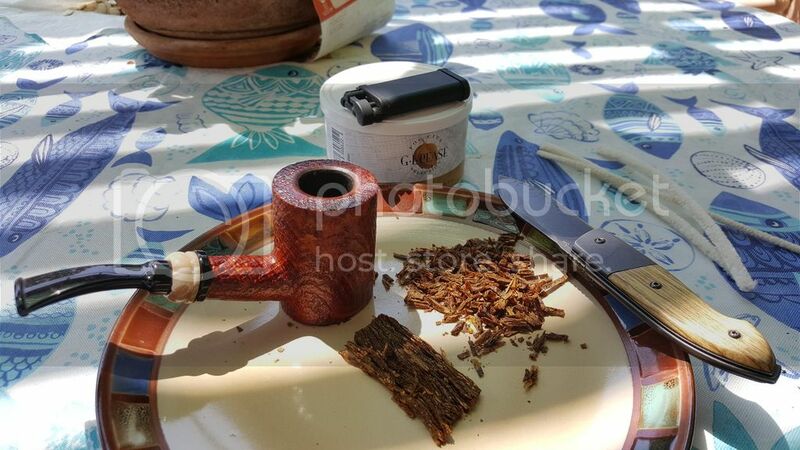 Couple bowls of McClelland St James Woods in a MM Missouri Pride while I was doing some chores outside. Made the drizzle and cold bearable. Got a bowl of Anniversary Kake In now, I swear this only gets better with age! Smoking the only remnant I have left from my days when I was into the hobby, a single tin of Samuel Gawith 1792 flake from Jan. 2010. People either love or hate this tobacco, and I can firmly say I’m somewhere in between. It seems to have lost all of its tonquin flavor, and tastes more of just the hearty dark flake tobacco it is made of. My palate and “skill” for tasting nuances is gone, but the nostalgia of smoking a pipe that I missed so much is making me soldier on. I might pick up some drug store tobacco for the few times I have left to enjoy my new Dr. Grabow “Big Pipe” before my wife catches on, but for now I will sit in the cold and listen to the wind whistle through the trees and be grateful for the times I’ve had with all of lads and lassies of the leaf.